On 29 October people from across the Start Network and others involved in the Disasters and Emergency Preparedness Programme (DEPP) met to discuss the new monitoring, evaluation and learning (MEL) project for the DEPP portfolio. Last week, 26-30 October, 21 humanitarians were trained in Nairobi as part of the Leadership for Humanitarians programme, delivered by Relief International as part of the Talent Development project. Tens of thousands of people who have made the dangerous journey to the Western Balkans will receive immediate, lifesaving humanitarian assistance with new funding from the UK Department for International Development. "The Start Fund provides aggregation, a single point of entry for governments to ..."
"half of all human suffering in disasters is in small scale, low profile crises, ..."
Hitendra Solanki, Mindfulness &amp; Wellbeing Adviser for ACF-UK&nbsp;and The Start Network on the importance of being aware of mental health issues in humanitarian response. 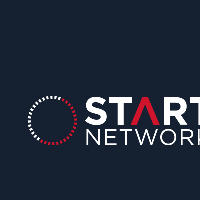 The Start Network is seeking a Start Fund Officer to ensure our grant processes and information management systems are being run as efficiently as possible.